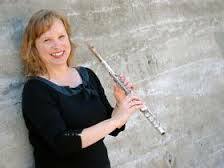 Melanie Keller is Principal Flutist of Symphony Napa Valley and the Vallejo Symphony. She has also performed with the Berkeley, Santa Cruz, Monterey, Solano, Santa Rosa and Marin Symphonies, the North Bay Opera Orchestra, the San Francisco Lyric Opera, the Santa Cruz Ballet Theatre Orchestra, St. Peter’s Chamber Orchestra and Broadway by the Bay. Mrs. Keller has spent recent summers performing at the Mendocino Music Festival, the Aspen Music Festival, the Texas Music Festival and the Las Vegas Music Festival, and touring the world with the American Russian Young Artists Orchestra and the Jeunesses Musicales World Orchestra. As a member of the latter two orchestras, Ms. Keller performed in concert under conductors Kurt Masur, Yoav Talmi, Leon Botstein and Carlos Kalmar, among others. Mrs. Keller is a founding member of The Avenue Winds, a Bay-Area based woodwind quintet that maintains a special interest in performing works by living Bay Area composers (www.avenuewinds.com). A frequent prizewinner at national flute competitions, she won 1st Place in the 2005 Mid-Atlantic Flute Fair Young Artist Competition and has been a prizewinner in several other national competitions, including the 2006 Madison Flute Festival Young Artist Competition, the 2005 Flute Society of Kentucky Young Artist Competition, the 2003 Flute Festival Mid-South Young Artist Competition and the 2003 Orchestral Audition Masterclass Competition at the NFA Convention. Most recently, she was selected as a semi-finalist in the 2013 San Diego Flute Guild Artist Gold Competition. Mrs. Keller serves as Personnel Manager of both the Symphony Napa Valley and the Vallejo Symphony and also enjoys teaching flute at several schools in the Bay Area including St. Matthews Catholic School (San Mateo, CA), Notre Dame Elementary (Belmont, CA), Bridgepoint Music (Menlo Park) and the Myriad Music School. She currently resides in Belmont, CA with her husband, Blaise, and their sons, Owen and Jacob.